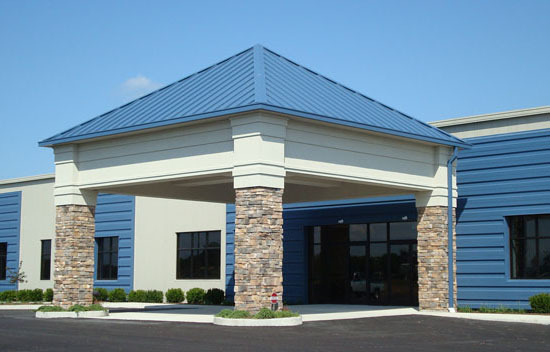 The primary goal of the Jamestown Medical Center was to repurpose a 44,300 SF abandoned plastics factory in the heart of Jamestown (an area that was in much need of a comprehensive medical facility) into a medical office complex. TAG has been involved from the beginning of the project designing upgrades to the exterior of the facility, designing an interior corridor system that would be efficient yet allow for future tenants of varying sizes, and designing tenant suites as they are leased. Tenant suites that have been designed include: Jamestown Family Medicine, Miami Valley Hospital Tenant Timeshare, Miami Valley Hospital Physical Therapy, Miami Valley Hospital Imaging, and IHS Pharmacy.